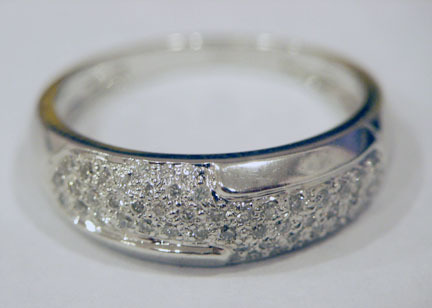 This beautiful & magnificent Wedding Band/Ring is made in 14 kt white gold & enhanced with diamonds. 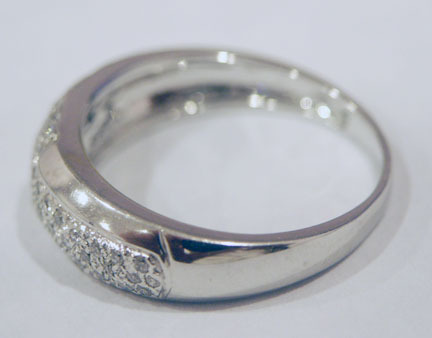 Diamonds weighing 0.33 ct & set in Pave' setting. 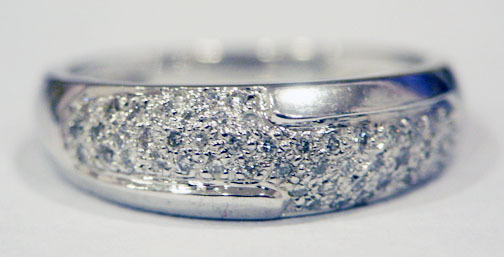 Diamonds color is H & clarity is SI-1 / SI-2. 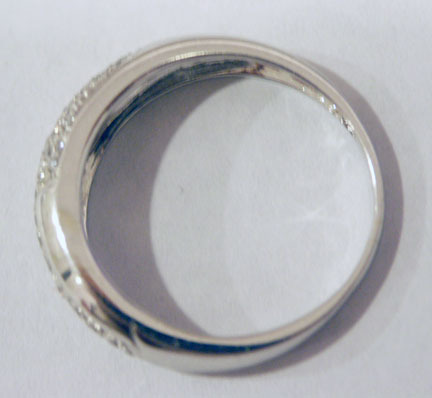 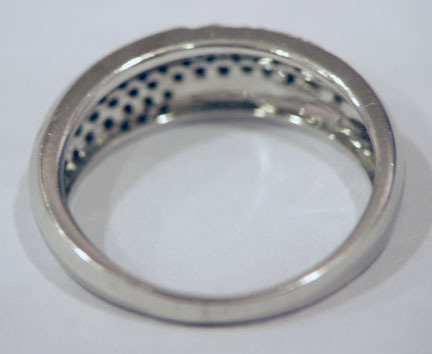 Width of a ring is 5.3 mm width on top & 2.3 mm at a bottom. 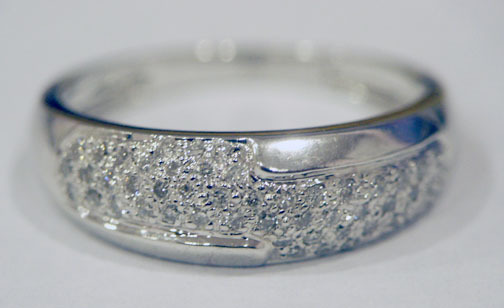 Ring size is 7, can be altered to any size for extra charge.